Last spring, after I had completed my initial mandatory year of experience on a medical-surgical floor, I began asking the Lord for a position during the day time with weekends off so I could participate more at church. I so missed evening worship and prayer meeting, as well as going door to door calling with the brethren to share the gospel. I thought about applying for a visiting nurse job, but didn’t really feel it would be safe in the big city here. When I returned from Europe, my head nurse, Mrs. H. told me the administration had approved a new position for the hospital as diabetes nurse educator. The role would include teaching the daily group diabetic classes, making daily rounds on all the patients with diabetes in the hospital to give them individual education, and teaching the staff more about diabetes. The nurse would become an expert on diabetes. They required the nurse to have a BSN, so that eliminated many of the Tower 5 nurses. Mrs. H. only has a hospital diploma in nursing, but she would be the supervisor. The goal is to make our program one of the premier diabetes programs for adults in this part of our state! She asked me to apply, and so I did. The interview was fairly easy with her and Dr. L., the medical director who is an endocrinologist. I’m not sure how many applied, but she notified me that they chose me for the position! How I thank God for giving me such a wonderful schedule of Monday-Friday with no weekends or holidays! Nothing is too hard for the Lord! I truly love to teach and am looking forward to stretching my mind again to become an expert in the area. So I began August 1. It was such a blessing to be able to drive to and from work in the daylight one week after my apartment mate and I were mugged. (See previous blog – Terror at Night). Surely, God’s timing is perfect! How I thank God for His wonderful encouragement after going through the difficult trial. He blessed me in reading Psalm 37:4. So now that I have been in the position for two months, I am becoming more comfortable each day in my role. I go to the hospital library many days and read the endocrinology medical journals to discover the most recent research in diabetes. I love it when the other nurses ask me questions, and I can assist them. I also enjoy having the time to teach the patients individually in their room, especially how to give their own insulin injections. I help them overcome their fear of sticking themselves by letting them practice sticking an orange or a sponge again and again until it becomes second nature! 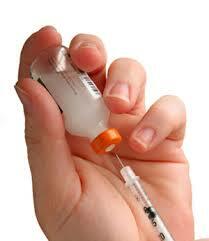 I taught the patients how to give themselves insulin. I contacted the Mayo Clinic in Minneapolis, and discovered that they have a special week long educational session for diabetes nurse educators. I asked Mrs. H. and Dr. L. if I could attend, and they obtained the funding for me to attend in November! I am so excited! I have never been to a national nursing seminar before. And to think I get to visit the world famous Mayo Clinic!! Sadly, I didn’t record any details in my journal about my week in Minneapolis at the Mayo Clinic. But I remember the lectures by the diabetes nurse educators were very helpful and gave me some new ideas for our fledgling program. I greatly appreciated their sheltered glass sidewalks downtown which protected us somewhat from the bitterly cold wind, and the great restaurants the nurses from out of state shared at dinner! I have found the Mayo Clinic website to be an excellent source for patient education and often recommend it. http://www.mayoclinic.org/patient-care-and-health-information. The clinic has expanded over the years and now have clinics in Florida and Arizona as well. U.S. News & World Report ranked Mayo Clinic in Rochester, Minn. as the best hospital in the nation in their 2014-2015 rankings. Mayo Clinic has ranked at or near the top of “Honor Roll” hospitals through the history of U.S. News and World Report’s best-hospital rankings.